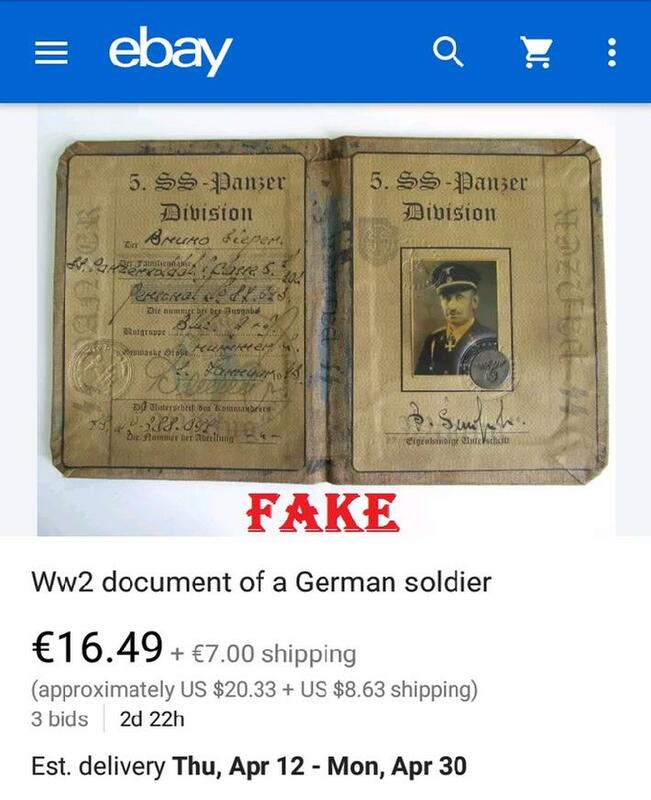 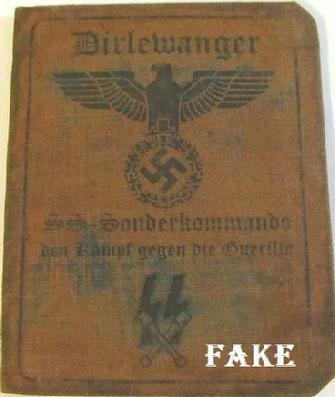 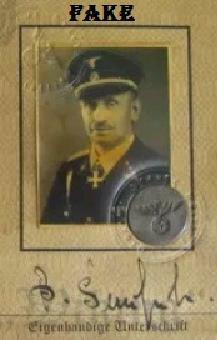 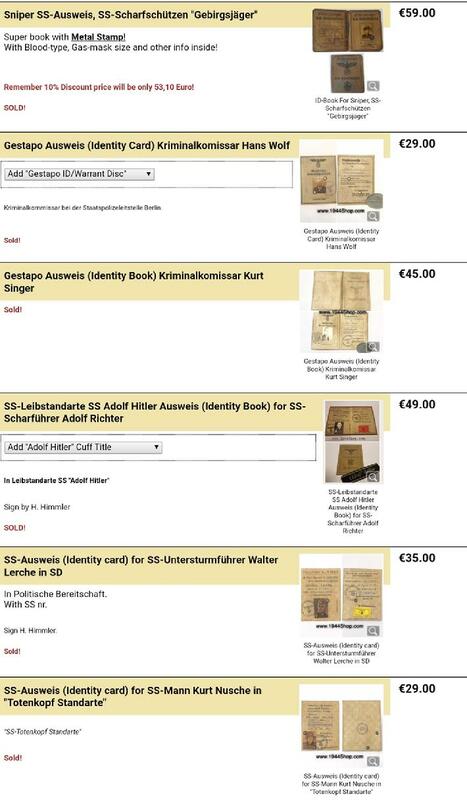 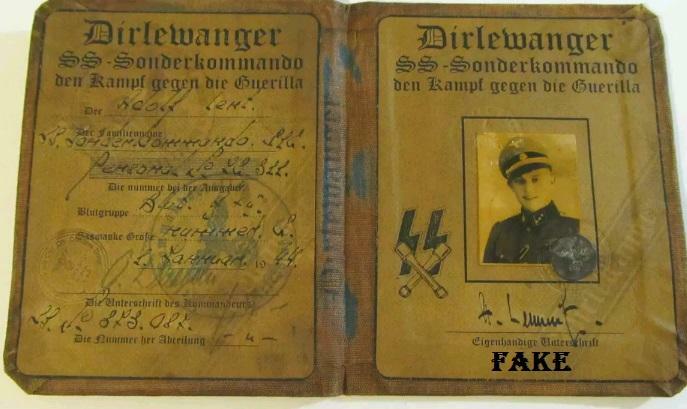 Forger Waffen79-0 has been around awhile and doesn’t just sell fake ID's, he’s got a variety of fakes on his eBay page. 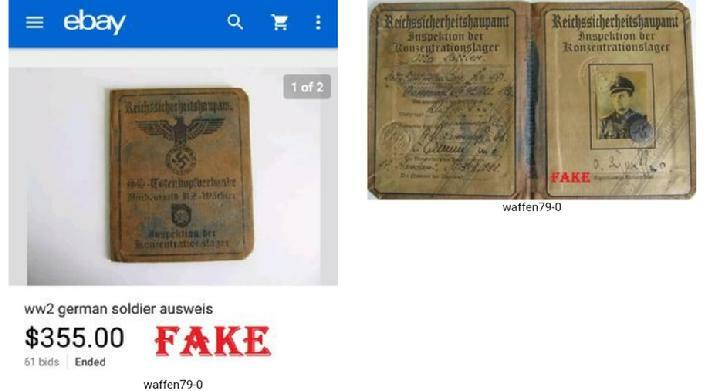 I’ve not been tracking this fellow long and have only a few samples of his forgeries, but I’ll be updating as he continues to dump them onto the net. 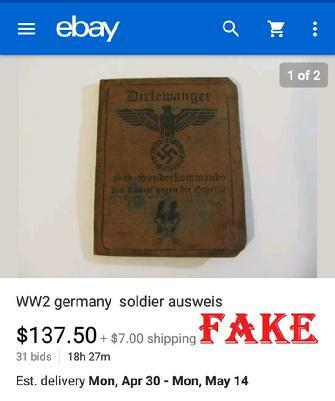 These clowns are making really good money off of you wannabe collectors; I do hope you fellows wise up soon. 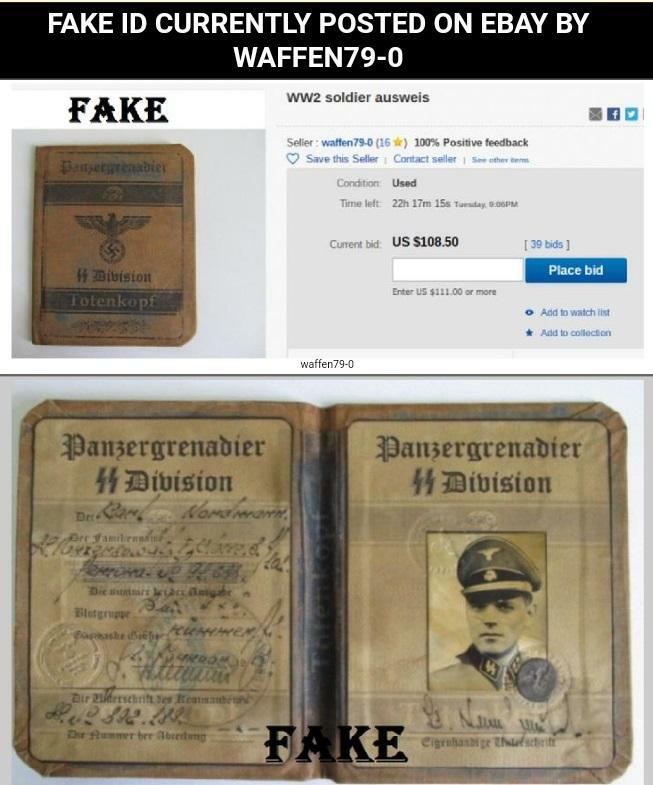 He may now be selling under the name nkvd19387. 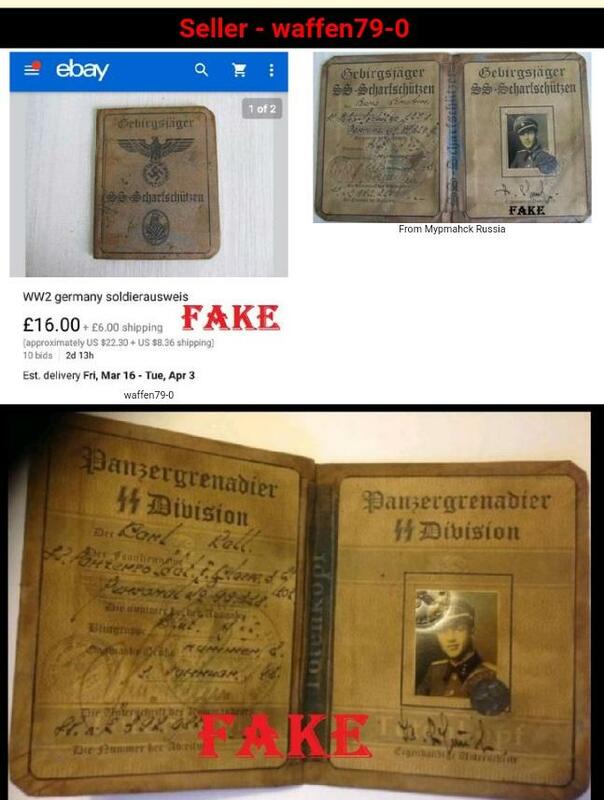 FORGERIES THEN RESOLD ON EBAY!